Dr. Audrey Ahuero specializes in Ophthalmic Plastic and Reconstructive Surgery, focusing on treatment of the eyelids, eyebrows, lacrimal system and orbit. Her areas of interest are eyelid lifts, eyelid malposition correction, skin cancer reconstruction, treatment of tearing disorders and cosmetic facial rejuvenation. Dr. Ahuero graduated from Stanford University and the University of Texas Health Science Center, trained at Harvard Medical School, and completed an ASOPRS Ophthalmic Plastic and Reconstructive Surgery Fellowship. She is also an author, lecturer and clinical assistant professor. Faculty, American Society of Ophthalmic Plastic and Reconstructive Surgery Fellowship Training Program, MD Anderson Cancer Center. Digital Journal of Ophthalmology, Oculoplastics Reviewer. Ahuero, Audrey E, M.D., Winn, Bryan J, M.D. and Sires, Bryan S., M.D., Ph.D. Standardized Suture Placement for Mini-Invasive Ptosis Surgery. Archives of Facial Plastic Surgery. 2012 Aug 13:1-5. Ahuero, Audrey E, M.D., Herreid, Peter A., M.D. ,and Sires, Bryan S., M.D., Ph.D. Atypical Presentation of a Periocular Neurofibroma. Ophthalmic Plastic and Reconstructive Surgery. 2010 Oct 4. Ahuero, Audrey E., M.D., Jakobiec, Frederick A., M.D., Bhat, Pooja, M.D., Ciralsky, Jessica B., M.D., and Papaliodis, George, M.D. Paraneoplastic Conjunctival Cicatrization. Ophthalmology. 2010 Apr;117(4):659-64. Ahuero, Audrey E., M.D. and Hatton, Mark P., M.D. Eyelid Malposition After Cataract and Refractive Surgery. International Ophthalmology Clinics. 2010 Winter; 50(1):25-36. Andreoli, CM, Andreoli MT, Kloek CE, Ahuero AE, Vavvas D, Durand ML. Low Rate of Endophthalmitis in a Large Series of Open Globe Injuries. The American Journal of Ophthalmology. 2009 Apr; 147 (4):601-608. e2. Ahuero, Audrey E., M.D. and Bryan Sires, M.D., Ph.D. “Injectables and Fillers” Smith’s Ophthalmic Plastic and Reconstructive Surgery, 3rd Edition. Frank Nesi, Christopher Calvano, Evan Black, Mark Levine, and Geoffrey Gladstone Editors. 2011. 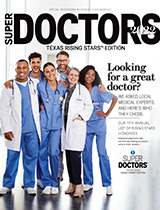 Ahuero, Audrey E, M.D., Winn, Bryan J., M.D. and LauKaitis, Steven, M.D. “Oculoplastics: Botulinum Toxin and Filler Agents” Ocular Therapeutics Handbook: A Clinical Manual, 3rd Edition. Bruce E. Onofrey, RPh, OD, Leonid Skorin, Jr, OD, DO, and Nicky R. Holdeman, OD, MD Editors. 2011, Chapter 20. Ahuero, Audrey E., M.D. and Claudia Richter, M.D. “Evaluation of Eye Pain” Primary Care Medicine, 6th Edition. Allan H. Goroll, M.D. and Albert G. Mulley Jr., M.D., MPP Editors. 2009, Chapter 201, pp. 1348-52. Ahuero, Audrey E., M.D. and Claudia Richter M.D. “Evaluation of Dry Eye” Primary Care Medicine, 6th Edition. Allan H. Goroll, M.D. and Albert G. Mulley Jr., M.D., MPP Editors. 2009, Chapter 202, pp. 1352-4. A.E. Ahuero, P. Gupta, T. Tanhehco, U. Jurkunas, and R. Pineda III. WaveLight Allegretto Eye-Q 400 Hz Laser Performance in EpiLASIK. Invest. Ophthalmol. Vis. Sci. 2008 49: E-Abstract 3352. T. Tanhehco, P. Gupta, A.E. Ahuero, U. Jurkunas, and R. Pineda III. Short Term Results With the WaveLight Allegretto Eye-Q 400 Hz Laser for Enhancement Procedure After Laser Vision Correction. Invest. Ophthalmol. Vis. Sci. 2008 49: E-Abstract 2933. A.E. Ahuero, C.M. Andreoli, M.T. Andreoli, C. Kloek, D. Vavvas. (709/B404) Low Rates of Endophthalmitis in a Large Series of Open Globe Injuries. Invest. Ophthalmol. Vis. Sci. 2007 48: E-Abstract 709. A.E. Ahuero, J.J. Leitenberger, T. Prager, R.M. Feldman, and the L.O.G. Study Group. Intraobserver Variability in Evaluating Simultaneous-Stereo Opic Nerve Photographs: A Comparison of Film vs. Digital. Invest. Ophthalmol. Vis. Sci. 2005 46: E-Abstract 2504. Invited Lecturer. “Orbital Trauma and Fractures.” Texas Medical Center Maxillofacial Trauma Symposium 2014. October 25, 2014. Invited Lecturer, Women in Surgery, University of Texas Medical School at Houston. September 5, 2014. Invited Lecturer. “Cosmetic Surgery of the Upper Face.” MD Anderson Cancer Center, Ophthalmic Plastic and Reconstructive Surgery. December 10, 2013. Invited Lecturer “The Lacrimal System.” Houston Basic Science Course. University of Texas Medical School at Houston. February 12, 2013. Invited Lecturer. “Eyelid Lesions” University of Texas Medical School at Houston, Department of Ophthalmology. Cizik Eye Center. November 15, 2012. Invited Lecturer “Cosmetic Surgery Overview.” University of Texas Medical School at Houston, Department of Ophthalmology. May 10, 2012. Invited Lecturer “The Lacrimal System.” Houston Basic Science Course. Univerisity of Texas Medical School at Houston. February 7, 2012. Invited Lecturer. “Evaluation of the Tearing Patient.” Continuing Education Fall Symposium 2011. November 15, 2011. Invited Lecturer “Eyelids: The Good, the Bad and the Ugly.” Washington State Board of Optometry Annual Post Graduate Seminar. Kane Hall, University of Washington. March 19, 2011. Case Presentation. “Enophthalmos following Orbital Fracture.” Facial Trauma for the Oculofacial and Orbital Surgery Fellow. Memphis, TN. September 25, 2010. Invited Lecturer “Benign Eyelid Lesions” Pacific Cataract and Laser Institute Optometric Physicians Continuing Education Program. Newcastle Golf Resort. August 2010. Case Presentation “Juxtapapillary Capillary Hemangioma.” Paul A. Chandler Conference. Massachusetts Eye and Ear Infirmary. December 12, 2008. Case Presentation “Retinochoroiditis in a patient with Langerhans Cell Histiocytosis.” Paul A. Chandler Conference. Massachusetts Eye and Ear Infirmary. October 26, 2007. Case Presentation “Branch Retinal Artery Occlusion.” Paul A. Chandler Conference. Massachusetts Eye and Ear Infirmary. October 28, 2006. University of Texas Health Science Center at Houston Medical School, M.D. The Methodist Hospital – Houston, Transitional Year Program. Christus St. Joseph Hospital/ The Methodist Hospital. Houston, Texas. Harvard Medical School Residency Training Program in Ophthalmology. Massachusetts Eye and Ear Infirmary. Boston, Massachusetts. American Society of Ophthalmic Plastic and Reconstructive Surgery Oculoplastic Surgery Fellowship. Bryan Sires, M.D., Ph.D. Preceptor. Aesthetic Eye Associates / University of Washington. Seattle, Washington.